He had them in army-style muscle t-shirts and [the art director] wanted them wearing something big and baggy. Which made no sense at all; they were hardbody soldiers and proud of it, not the sort to favor dungarees that gave them the outline of an old floor cushion. (Morris, 2010b). by Leo Hartas (from Morris, 1994). 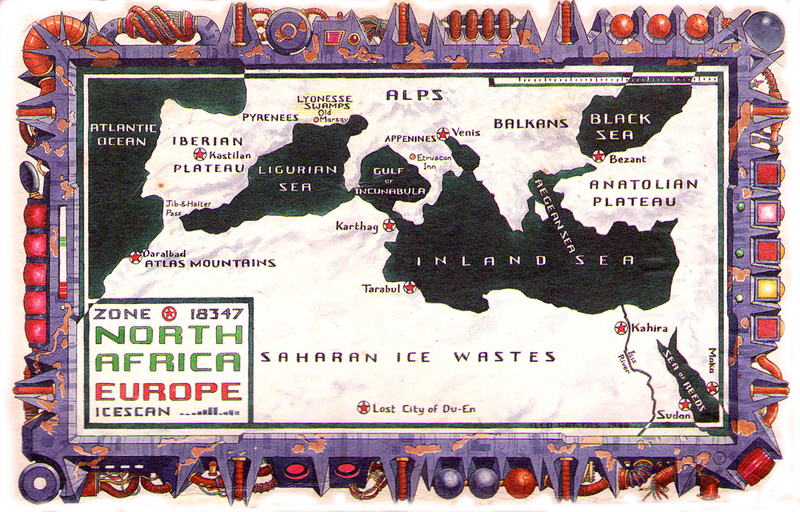 A few hundred years into our future, the world is becoming a glacial wasteland. One day the mad supercomputer responsible for this mess sends out a message about a cosmic artefact of great power hidden in a dead city. A number of daring and resourceful characters take up the challenge; one of them is YOU! But who’ll be the one to get their hands on the power, and what is to come of it? (Jorner, 2007). 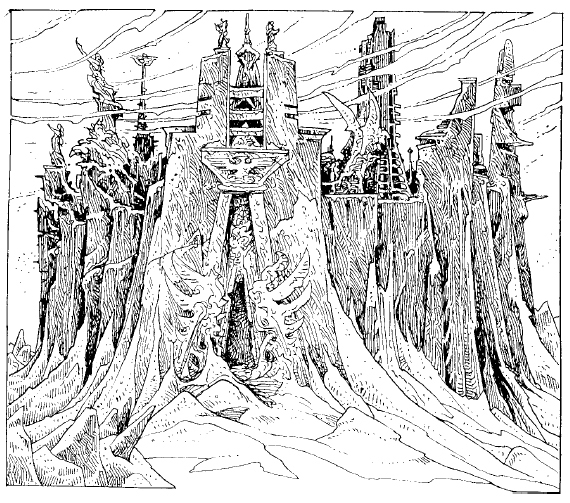 After the first game session, I was walking home with one of the players and he said how he was imagining Du-En as a movie, and what he liked was that the focus of the session had been in the tension among the characters camped out in this ruined, snow-filled city. (FalcoDellaRuna, 2008). by Russ Nicholson (from Morris, 1994). I’m not sure if the session was run several times with different participants, but Paul Mason (2004) has confirmed that the scenario he participated in was set in Professor M.A.R. Barker’s science-fantasy world of Tekumel, where “a bunch of likely characters competed to wrest the Heart of Durritlamish from the Mad City of Du’un”. 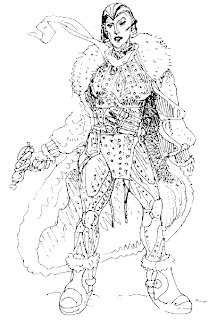 Interestingly for gamebook fans, Mason’s character in the session was Karunaz (Mason, 2004), who is not in the Heart of Ice book, but does turn up earlier in the fifth book of the Blood Sword saga The Walls of Spyte (Morris, Johnson & Thomson, 1988), set in the Dragon Warriors game world of Legend. by Russ Nicholson (from Morris, 2000). by a very long margin. It was almost exactly what I wanted it to be. If only it could have been a bit longer, though. I ran out of time and space there at the end. No work of art is ever finished, only abandoned. (FalcoDellaRuna, 2008). Why so much affection for this book? We’ll find the answer to that in part 2 of this post. Until then! Livingstone, I. (1984). Deathtrap Dungeon. London: Puffin. Morris, D., Johnson, O., & Thomson, J. (1988). The Walls of Spyte. London: Knight Books. Morris, D. (1994). Heart of Ice. London: Mammoth. There were indeed multiple runs of Du'un. I wasn't playing rolegames in 1976, let alone playing in Dave's group. But the movie analogy certainly held for the version I played in. We even 'cast' our characters (Karunaz was Christophe Lambert, a more 'Hollywood' choice than James Fox, on whom he was originally based). I mocked up a 'film poster'. 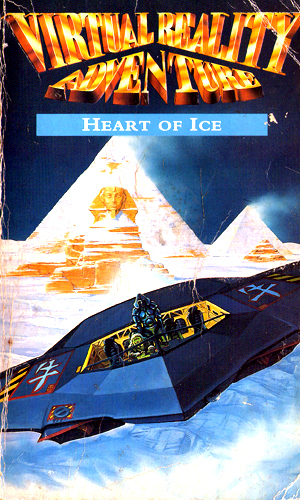 Incidentally, the PDF version of Heart of Ice is the one I produced to accompany the rerelease. It therefore closely resembles the 'book' version, though the layout was tweaked to work for both screen and A4. The cover of the rereleased version (I decided not to relicense the original) also depicts something from the book, but is even more spoilerish, so I won't say what. It also references the original opening sequence of Doctor Who. Good points all! I'm going to have to do an edit once I get the next post up. 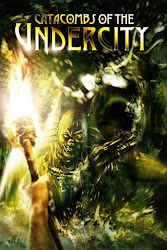 Catacombs of the Undercity on iTunes! Thought for the Day: Five Things Not To Say To Authors, with Michael Jecks.